Embroidery is limited to frame sizes, the largest available being 45cm x 30cm. 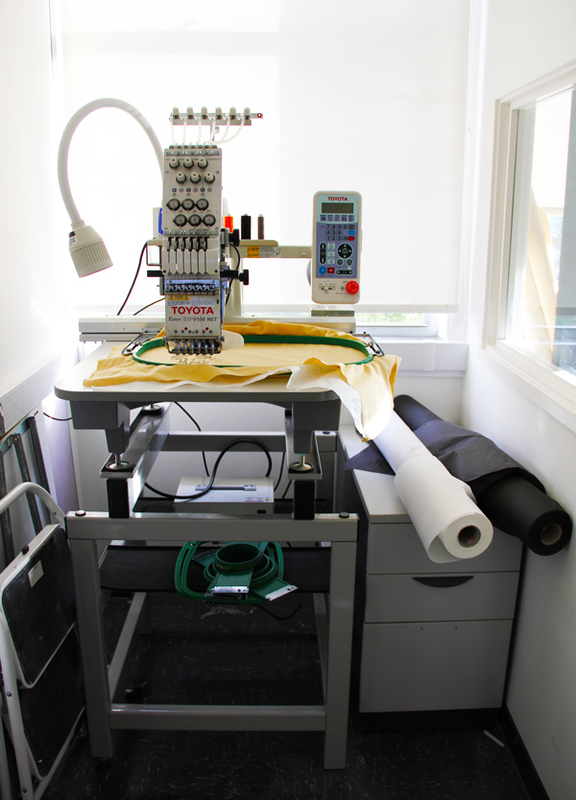 The machine also uses particular type of machine embroidery threads. Suitable for motifs and lettering on medium to fine fabric. Does a variety of stitches run, satin, fill etc. The machine has 6 needles for different colours of thread. Designs imputed in illustrator then digitised into Wilcom software. Linked to Apple computer.